It’s day two at Boardmasters and with it sadly come gale force winds and heavy rain. 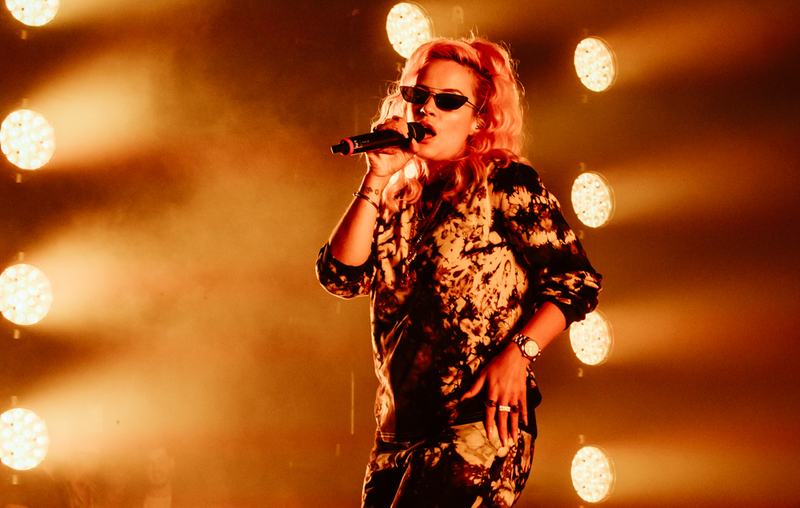 Apart from an early downpour, day one at the Newquay beach bash felt like you were lost in California, such was the sun drenched setting as revellers were treated to stunning sea views and an eclectic mix of indie, dance, dubstep, rap and soul. This is what we learned on day two. 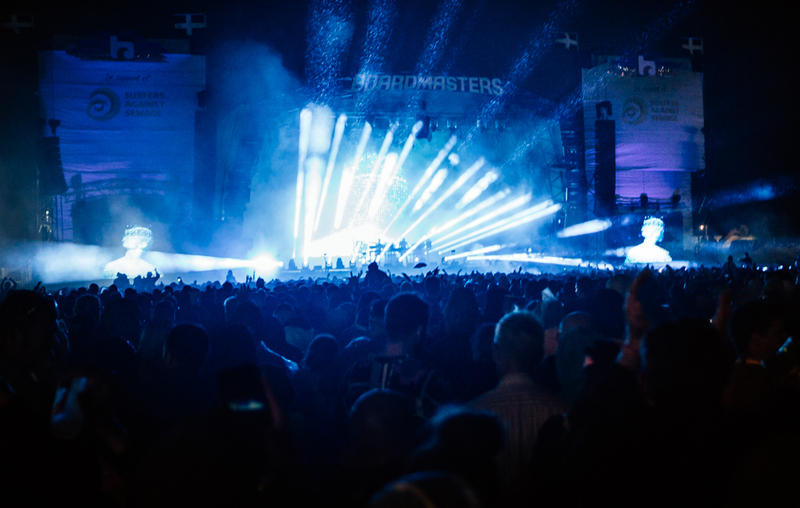 They’ve been around for more than 20 years now and while many of their dance peers have sadly fallen by the wayside, The Chemical Brothers can still command a hefty headline slot at the UK’s major festivals. Going by tonight’s show you can see why. Back in the day the electro beat meisters had the tunes, the stellar guest stars (Noel G, Richard Ashcroft and Tim Burgess) and mighty fat beats. But Tom and Ed’s ear splitting sets sometimes became too much to bare in those early years. Times have changed though thankfully. Now the fat beat pioneers are a far more polished machine. Despite the driving rain, they don’t disappoint tonight, delivering a trippy hit laden spectacular show, featuring giant robots, stunning laser beams and whirring police sirens. They deliver the bangers (‘Go’, ‘Galvanize’, ‘Star Guitar’, ‘Block Rockin’ Beats’, ‘Hey Girl Hey Boy’ – the latter of which sees green lasers blasting out of the stage whilst a giant fluorescent avatar busts moves in the background) but they intersperse them with their harder acid cuts (‘Electrobank’, ‘Escape Velocity’, ‘The Golden Path’ and ‘Chemical Beats’) superbly. The dance duo seemed to lap it up too as Ed later posted on Twitter: “Think I’ve found my spiritual home in Newquay. Unexpected. Surfs Up.” Masters of the dance floor, they are indeed. Over in The Land Of Saints tent, you can barely see Lily Allen through the raucous throng who have gathered to see the gobby pop star bring her new album ‘No Shame’ to Newquay. Not surprisingly it’s the old hits they’re more interested in though as they bellow back every word to early favourites ‘LDN’ and reggae-infused debut single ‘Smile’. Despite their hunger for hits gone by, Lily’s new songs garner huge cheers as break-up dance anthem ‘Come On Then’, the bouncy ‘What You Waiting For?’ and infectious ‘Lost My Mind’ pack a hefty pop punch and prove a clear return to form for the LDN princess. Oh my, Years & Years have come long way since 2015. Back then, Olly Alexander cut a shy, reluctant pop figure onstage, shackled by alleged industry fears surrounding his sexuality. Since he’s openly come out in recent months, Olly has got his freak on in a big way returning with a huge R&B infused second album in ‘Palo Santo’ and today his band bring a spectacular stage show to back that up. Flanked by a raunchy gang of dancers, backing soul singers and Mikey Goldsworth comically chanelling Prince with a keytar at the top of a flight of stairs, it’s like being at one of the late ‘Purple Rain’ icon’s famous shows such is the pomp and sexual energy on show. Vocally though, Olly sounds more like Michael Jackson at times on newies like ‘Karma’ while oldies – ‘Shine’ and ‘Take Shelter’ – have been injected with a heavy dose of soul. It gets beyond ridiculous, when Olly dons a sparkly silver gown and rises up in the air like a creature from a Tim Burton movie in front of a full moon to deliver the album’s centre-piece. But his delivery is so good you can’t help but forgive the absurdness of his theatrics. Superstardom awaits. With the rain lashing down on the Main Stage, ahead of Editors‘ mid-afternoon performance, the scene is set perfectly for the Birmingham band’s brand of gloom rock. Frontman Tom Smith even apologises for bringing his “miserable music” to the crowd. 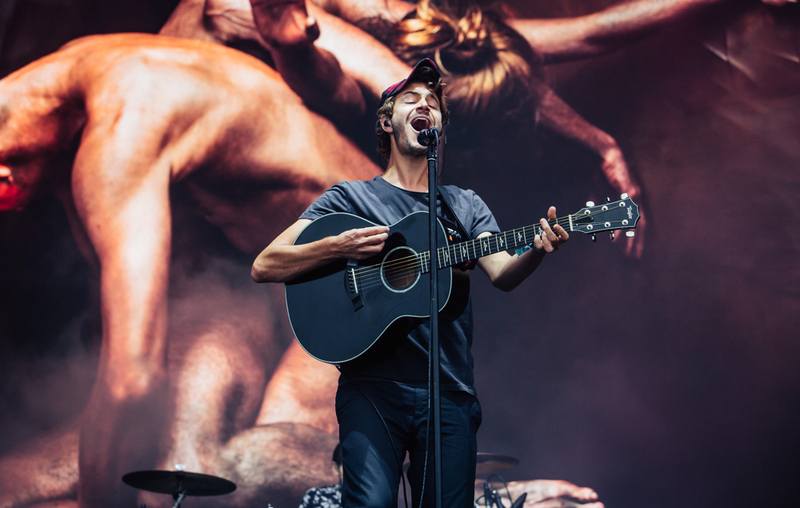 Despite the dull setting, the music is far from it as Editors delve into their back catalogue to rain down the hits on an appreciative audience. ‘Blood’, ‘An End Has A Start’, ‘The Racing Rats’ and ‘Munich’ sound as powerful as ever while the synth stabbing ‘Violence’ and ‘Magazine’ compliment their earlier material perfectly. 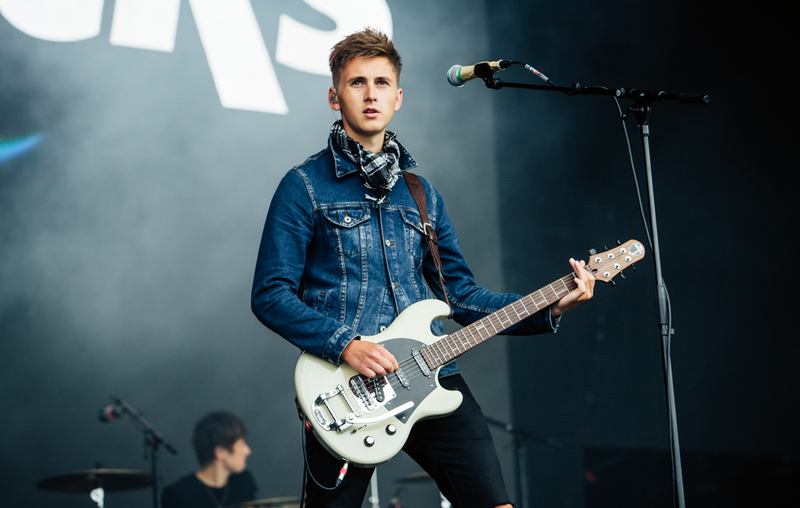 Greeting early revellers, Sheffield lad rockers The Sherlocks whip up a huge mosh pit down the front with a frenetic set on the Main Stage featuring guitar driven indie cuts from their 2017 debut ‘Live For The Moment’. It’s uncanny how much frontman Kiaran Cook sounds like Liam Fray from The Courteeners as he barks: “Next week, you’ll be doing it all again” on ‘Escapade’. They’re a tight unit, but their songs begin to tire towards the end. 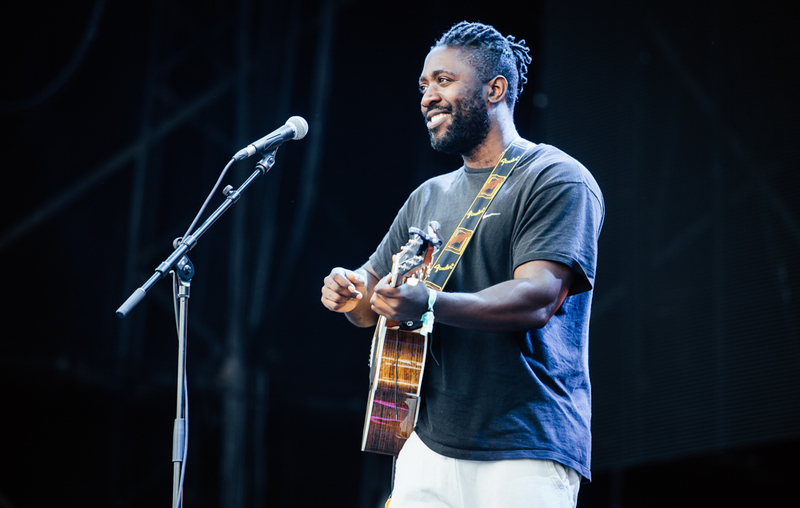 Opening the day to gale force winds, Kele from Bloc Party pokes fun at the stormy weather when he quips: “Good afternoon Boardmasters, it’s lovely to be here on this beautiful day.” Today he’s traded his solo dance beats for a melancholic acoustic set which works beautifully as his fragile vocals breathe new life into a heap of broken love songs. The pick of them is undoubtedly his Bloc Party stuff with ‘Exes’, ‘Blue Light’ and ‘This Modern Love’ highlighting a stripped back naked quality rarely seen during his day job.